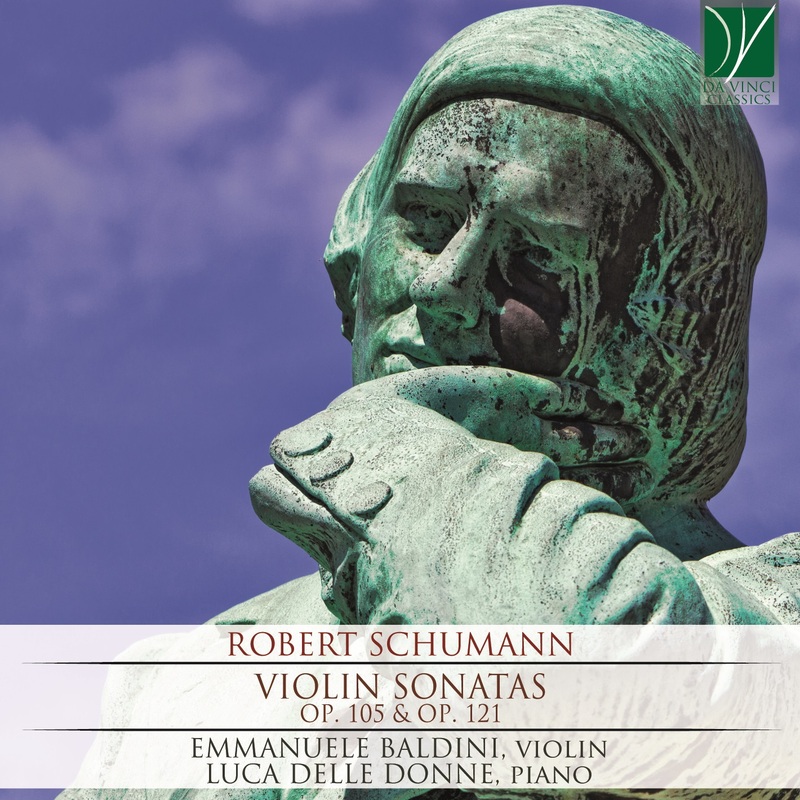 It is a well-known fact that Robert Schumann (1810-1856) entertained the idea of becoming a professional author for many of his youthful years, before eventually deciding to focus on music. This choice, however, did not withdraw him from the realm of words, which continued to attract him during his entire life: he was an avid reader, a prolific writer and a creator full of imagination and of narrative ingenuity. His literary output consisted mainly of articles and essays, most of which were written for and published in the review he had created, the Neue Zeitschrift für Musik; here, his reflections, ideas and thoughts were frequently expressed, on his behalf, by two fictional characters, “Florestan” and “Eusebius”, whose traits had been inspired by the protagonists of Jean Paul Richter’s Flegeljahre. Similar to Richter’s Walt, “Eusebius” took charge of the dreamy, poetic and reflective side of his author’s personality, while, similar to Richter’s Vult, “Florestan” had a penchant for the blunt statements, for the passionate expression and for the abrupt and synthetic declarations. Florestan and Eusebius also feature in Schumann’s musical works, starting with Carnaval op. 9 and Davidsbündlertänze op. 6, both scored for solo piano; in the former, the two characters give their names to two of the pieces composing the collection, while in the latter they sign (either individually or jointly) each one of the pieces in the series. Their presence, however, continued to loom in Schumann’s literary and musical output; indeed, their opposing features appear so clearly in so many of Schumann’s works that the French musicologist Marcel Beaufils found their traces in virtually all of Schumann’s compositions. In fact, there are many “Eusebian” and “Florestanian” moments also in the two works for violin and piano recorded in this CD, even though they were both composed in 1851, much later than the piano cycles cited above. Their presence, however, is not the only literary element in Schumann’s works for piano and violin: both in the Second Violin Sonata performed here and in the Third, the main musical themes are inspired by letters and words, as happened on various other occasions in Schumann’s earlier years. Indeed, his op. 1 – the ABEGG Variations for the piano – are based on a motif whose notes correspond to the letters forming the family name Abegg; the same idea inspired the composition of the above-mentioned Carnaval, which is aptly subtitled Scènes mignonnes sur quatre notes, “little scenes on four notes”. Here too, the cycle’s main motifs are generated by the letters in Schumann’s own family name and in the toponym of Asch, the city where his beloved used to live. Of course, such transpositions of letters into sounds are hardly discernible when listening to a piece; their realm is that of the allusions for the initiated, of the “insider’s jokes”, purposefully hidden to the eyes of those who are unable to read a music score and with whom that special knowledge has not been imparted. It was precisely within the fascinating cultural milieu of artists and authors who gravitated around the Schumanns’ household that such allusions were best interpreted, and sometimes even created. For example, the Third Violin Sonata (which remained unpublished until a century after Schumann’s death, in 1956) is the enlargement to a full-length composition of two individual movements which Schumann had contributed for a multi-authored work (whose other composers were his friend Johannes Brahms and his pupil Albert Dietrich). The three musicians took the initial letters of a motto, “Frei aber einsam” (“free but lonely”), which had been adopted by the violinist Joseph Joachim as his own; they turned the letters F, A and E into musical notes and presented him with this collective work, allegedly asking him to guess who had written what. A similar allusion is found in the D-minor Sonata (op. 121), whose motto is taken from the letters forming another name, that of Ferdinand David, who was in turn a great violinist and close friend of the composer (in this case, the notes are D, A, F and D). It may be said, therefore, that at the surface level (that of the actual notes), at the deepest level (that of the motifs whose elaboration constitutes one of the basic elements of musical composition) and at the level of Schumann’s creative inspiration, his friends are – quite literally – “written inside” his music. He wrote for them, had them play his works, was inspired by them and cooperated with the most gifted of them in his compositional process. The closest friend of all was, of course, his own wife, Clara Schumann, née Wieck, an exceptionally talented and virtuoso pianist and a very gifted composer in turn. In October 1851, she had guessed that the Second Sonata was on the way, and she wrote in the family journal: “Robert is working away on something new. I can’t get him to tell me what, but I have the feeling that it is a piece for piano and violin. Am I right?”. She was right, in fact, and she would be the first performer of both Sonatas included in this CD, along with the best violinists in Schumann’s circle; the works saw the light at first in the intimate setting of private concerts, and later in the public concerts which Clara continued to give even after her husband’s death. However, it is likely that the spark igniting Schumann’s creativity in the field of violin and piano music came from another friend, that same Ferdinand David whose name is inscribed in the Second Sonata. In 1850, on the very first day of the year, he had written to Schumann: “Your Fantasy Pieces for Clarinet and Piano [Op. 73] please me so much; why don’t you compose anything for violin and piano? It so much lacks something proper, new, and I don’t know anyone who could do it better than you”. Moreover, it has been suggested that the quotation from a Lutheran Chorale (Gelobet seist du, Jesu Christ, “Be thou praised, o Jesus Christ”) in the Second Sonata may be intended as a prayerful homage to and moving remembrance of yet another of Schumann’s friends, Felix Mendelssohn Bartholdy, who had died in 1847 and who had cited that same chorale within one of his own chamber music works, the Piano Trio in C minor. Both of these Sonatas were composed within a very short time, in 1851: the first, in A minor (Op. 105), was the fruit of just a few days of hectic concentration, in September, while the Second Sonata (in D minor, Op. 121) was written about a month later, between October and November. Allegedly, Schumann undertook the composition of the Second Sonata because he was not entirely satisfied with the first: he seems to have said to one of his friends that he “did not like the first Sonata for Violin and Piano; so I wrote a second one, which I hope has turned out better”. The Second Sonata certainly met with the approval of Schumann’s wife, who described it as “wonderfully original, and has a depth and magnificence that I find virtually unequalled – it is an overwhelming piece of music”. Both works are majestic in scale and depth, and they require a true cooperation and an intense dialogue between the two musicians; this conversation is frequently embodied by Schumann’s constant use of canonic writing, whereby a melodic line or a short tune or motif is presented in close succession by the two instruments, thus suggesting a substantial unity and an intense agreement in the “views” of the two musical characters. This harmony in the musical intentions of the performing partners – which clearly mirrors the climate of friendly cooperation among artists which fostered the creation of the two works – is in turn reflected in another compositional trait, which is rather peculiar and typical for Schumann’s late works. The classical Sonata form, in fact, is aesthetically grounded on the principle of an opposition between two main thematic elements, whose fierce antagonism will be appeased in the recapitulation. Here, instead, through the use of various compositional means, Schumann manages to dissimulate and to soften this opposition: elements from one theme may migrate to the other (thus revealing their not-so-hidden and underlying relatedness), the usual tonal interplay is frequently undermined, and the result is a tightly woven composition, with fascinating musical bridges which connect the various movements to each other and the individual elements within each movement. Notwithstanding this, variety is nowhere lacking in these magnificent works, whose moods span from the most intimate confession to the exuberant eruption, from the fierce passion to the reflective contemplation, from the most exhilarating display of virtuosity to the deliberate disregard for the idiosyncrasies of the two instruments, whose technical limits are sometimes overcome by the artist’s creative inspiration. Among the most memorable moments of these captivating masterpieces are the pleading opening of the first movement, the enchanting simplicity of the Allegretto – somewhat reminiscent of Schumann’s music for children – and the hypnotic whirling of the finale in the First Sonata; the puzzling wandering of the introduction and the storming waves of the first movement, the fascinating narrative and epic tone of the second movement, the extraordinary timbral effects of the third movement (with the unforgettable violin pizzicatos at its very beginning) and the concatenation of successive climaxes in the spiraling tides of the finale of the Second Sonata. The composer’s greatness results clearly from his astonishing ability to concentrate, within the microcosm of these two works, a whole palette of affections, feelings, atmospheres and effects, without diminishing their compact and compelling structural unity. Together, they form a superb diptych which will certainly mesmerize the listeners of this CD. Emmanuele Baldini was born in Trieste, Italy, surrounded by music: his father, Lorenzo Baldini, is an important pianist and italian pedagogue. After studies in his hometown with Bruno Polli, he furthered his violin training in Geneva with Corrado Romano, in Salzburg and Berlin with Ruggiero Ricci, and recently studied conducting with Isaac Karabtchevsky and Frank Shipway. From an early age, Baldini garnered prizes from countless international solo and chamber music competitions, including the “Premier Prix de Virtuosité avec distinction” in Geneva and the “Forum Junger Künstler” in Wien. Baldini has performed as soloist or recitalist across the globe in all the major concert halls. His inexhaustible curiosity and passion for music has broadened his horizons, and after a commendable career as violinist (with more than 15 recordings to his name, nearly 40 different violin concertos and all of the major violin sonatas in his repertoire), he has embarked on new musical ventures as a conductor, he founded the OSESP Quartet, he has intensified his teaching activities. Baldini’s musical collaborations include internationally renowned artists, such as Maria-João Pires, Jean-Philippe Collard, Antonio Meneses, Caio Pagano, Ricardo Castro, Nicholas Angelich. Maestro Claudio Abbado wrote in a letter to London’s “Harold Holt”: “I am impressed by both his deep musicality and technical level.” He has been concertmaster of the Orchestra del Teatro Comunale di Bologna, Orchestra del Teatro alla Scala di Milano, Orchestra del Teatro “Giuseppe Verdi” di Trieste, and since 2005 has been concertmaster of the Orquestra Sinfônica do Estado de São Paulo (OSESP), Brazil. Luca Delle Donne started studying piano at the age of six. He obtained his Diploma at the “G. Tartini” Conservatory in Trieste, his hometown, with full marks, honors and special mention under the guidance of Lorenzo Baldini and his Master in piano interpretation with Gabriele Vianello. To enrich his musical skills, he took part to several masterclasses with acclaimed musicians as Philippe Entremont, Claudius Tanski, Benedetto Lupo, Franco Scala, as well as the legendary Trio di Trieste. Aquiles Delle Vigne wrote about him: “Luca has an enormous musical sense and develops his Art with great convintion. His repertoire and his Love follow the steps of the great names of the Piano. He is a Poet and, in the same time, a lion of the piano.” In the well known “Mozarteum Universität” of Salzburg he debuted in the “Wiener Saal” and performed the complete execution of the Chopin’s Etudes op.10. Delle Donne has performed throughout Europe and went on tour several times in China and Japan chiefly in solo recitals but also in several chamber ensembles and with orchestras: from 2010 he continues to give recitals and concert-lessons dedicated to Beethoven. He usually plays with well known musicians as Emmanuele Baldini, Massimo Macrì, Monte Belknap, Dawn Wohn, Gervasio Tarragona Valli. Besides performing in concert, he usually works as a teacher and gives masterclasses, he has been invited as juryman in several national and international competitions, has been member of the executive in the prestigious “Società dei Concerti” in Trieste, he broadcasted classical music programs on radio and he is the co-founder of “Festival Internazionale Primavera Beethoveniana”.